The dental crown replenishes the damaged dental tissue, completely imitating the shape, size and color of the teeth. Indications for making dental crown are varied. We use them at the fracture of the teeth or when there are large cavities in it, which leads to tooth defects and can not be repaired only by sealing. We also use them as a kind of protection, or tooth strengthening, after the treatment of the tooth nerve. The aesthetic moment is most pronounced, the crowns help to hide the abnormalities of the teeth, as well as to correct the shape or color of the teeth. 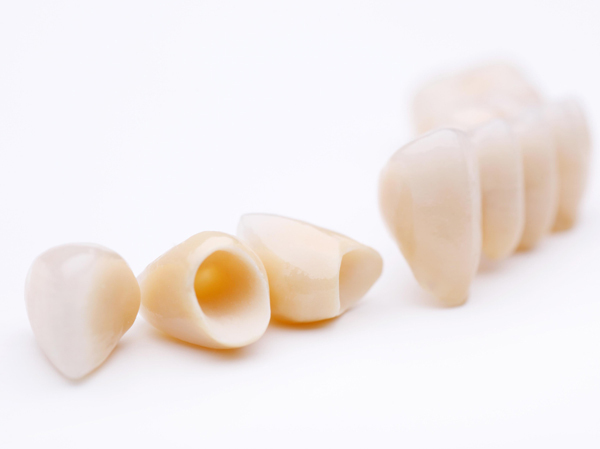 Crowns can be made of metal, porcelain, non-metallic ceramic or zirconium ceramics. They are based on the taken individual mold in the dental laboratory. They are temporarily cemented, and then the patient is given the opportunity to receive any corrections (change in color, shape, size). After a certain period of adaptation, the crowns are definitely cemented. The procedure for making crowns involves grinding of teeth and taking individual prints. After taking the print, the crowns are made in the laboratory. After temporary cementation, the adaptation process is followed in which the patient becomes accustomed to new dental compensations. During this period, coronal corrections are made. After that, the definite cementation of dental crowns follows. When we talk about the lifetime of the laboratory-made dental crowns, the average is 8-10 years with the remark that along with regular oral hygiene, the duration can be significantly prolonged. 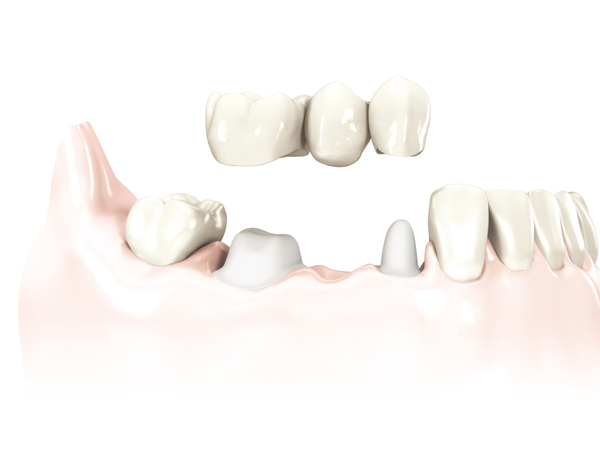 The dental bridge is a tooth replacement of at least two jointed dental crowns. The loss of the tooth causes a change in the bone in terms of its reduction. There is also a change in the teeth that surround the dumbbell ridge. The teeth then tend to move and lean toward the place where there are no teeth. There is also a decline in the bones around these teeth, which become sensitive and susceptible to cavities, unstable and in some cases even their loss. This condition seriously impairs oral and general health, changes the shape of the face, the beauty of the smile and the chewing quality. In a patient who misses one or more teeth, most stabilizes the bite and prevents movement and inclination of adjacent teeth into an empty space. Unlike dentures, bridges are cemented and can not be removed from the mouth. Missing teeth are compensated in laboratory, and made using crochet that they use for at least two crowns cemented on pre-brushed teeth. Bridges are used to compensate for a smaller number of lost teeth, and the condition is the existence of stable and healthy teeth for which they are fixed or dental implants that serve as carriers. The patient’s dental bridge candidate must meet several conditions. Good gum condition is needed, the existence and good condition of the bones, as well as regular and regular oral hygiene. When we talk about the advantages of bridges, there are many in terms of dentures. The dental bridges are firmly tied in the mouth for the teeth of the carriers, and there is no possibility of moving them. With their appearance they do not differ from natural teeth and do not disturb the function of speech and chewing. The protection of the teeth of the carrier of caries is functionally achieved, and the aesthetic moment is remarkable. Our goal is to help you, be free to contact us. You can set the question quickly and easily through the offered contact page. We will do our best to respond to you as soon as possible.